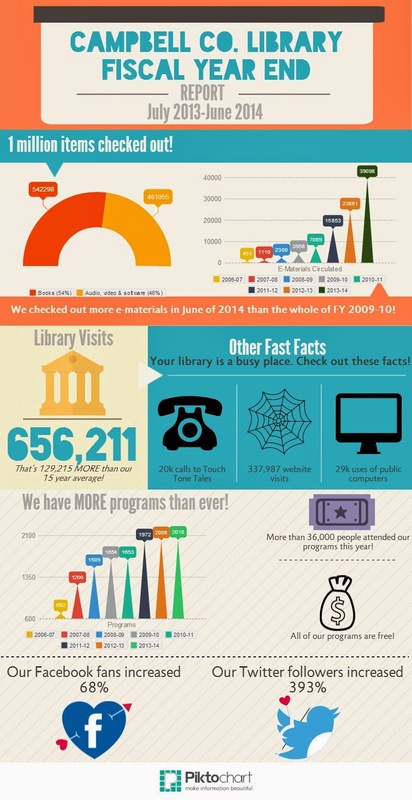 The Campbell County Public Library (CCPL) has released its annual year end report for the 2013-2014 fiscal year, this year as an infographic. 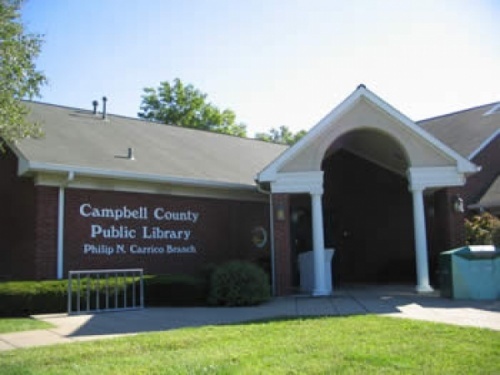 The financial health of Northern Kentucky libraries has been in the spotlight since last year, when CCPL, along with the Kenton and Boone County Public Libraries, faced and lost a lawsuit alleging the Board of Directors has been illegally raising taxes for the last 35 years. Every event hosted by the CCPL is free and open to the public. It is still being determined whether or not CCPL will be required to return to the 1978 tax rate and/or pay back any or all of the tax revenue raised over the last three decades. According to CCPL's website, a return to the 1978 tax rate could mean reduced hours, temporary or permanent closing of one or more branches, and a "severe restriction in programming," among other ramifications. Stay up-to-date! Follow FTM on Facebook and Twitter.